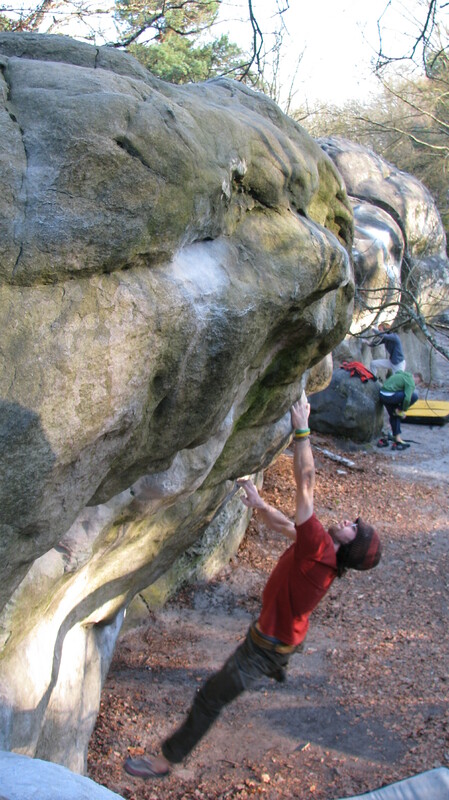 The following was a piece written back in June 2012 and sent to Climb magazine. I never heard back and have only just found it again today. Last night, I was engulfed in a mental torment, this time different to any other I have experienced. I’ve been in the forest of Fontainebleau for a little over two weeks, having yesterday relocated from the campsite near Milly la Foret to a gite near Bois le Roi, and from long before we left the shores of Blighty, I have had only one goal. While many other things have been achieved since then, my primary achievement still remains there taunting me, and has now infiltrated my dreams. It has been commented a lot lately that I am a lot stronger than I realise, but that I lack the mental acuity to actually commit to something for long enough to actually achieve my potential. In truth, this is not news to me, echoing every report card I ever had at school, so makes sense really; not that it will suddenly change now that another person has brought it to my attention. I lay on the sofa-bed last night, my thoughts drifting at speed as is usual for me as I tried to close my eyes for the last time of the day. Ordinarily, these musings would be random, mixed and strange: issues from work, conversations from the day, the girl of my dreams, possibly a film or TV show scene and many other possibilities exist. But this time was different. Last night, as I tried to sleep, my consciousness was captivated by only one thing: a short boulder problem at Bas Curvier called Carnage. I lay there, running repeatedly through the moves in my minds eye, flitting between first and third person, picturing every move and every hold with the most intricate detail imaginable. From the ideal way to take the first small pocket with the left hand, through the core tension needed to keep the feet on when catching the second small crimp, no detail on this problem (that I have so far encountered) escaped my attention. A little over a week ago, I was climbing there, feeling strong and doing well, only failing on the final exit jug and returning to earth on my backside. Three days ago, on my birthday, I was again there, only this time injured and resting despite perfect conditions and staring agonisingly at my project towering above me, knowing any attempt would most likely not end in success, instead probably in a prolonging of the injury now nailing my feet to the floor. Today’s plan was to go back, for one last glorious session to finally send the problem I first looked at two long years and many sessions ago. Judging from recent results (a flash of the Grande Marche 7a+ at Canche aux Merciers among a series of other ticks this week), I was no longer quietly confident but loudly pronouncing a successful ascent, especially after so many comments saying how close I was last week. As such, it captivated me entirely, infiltrating every microbe in my body, forcing itself into the forefront of my mind in such a way as I have never experienced. Is this what other greats experience? An all consuming, overwhelming, obsessive compulsion to complete the climbs they have laid out for themselves? Is this really the level I need to take this to in order to taste success on climbs so close to my limit? To be honest, I lacked the mental capacity last night to even pose these questions as once again I saw myself run through the moves again: left hand pocket, reach right hand onto a crimp, place right foot high and bump left foot before reaching for another poor crimp, left foot now high… you get the idea. Over and over I watched myself complete, watched myself top out, watched myself celebrate screaming, whooping and hollering on the top. At one point I even watched myself walk down the descent route. The thing that really made me think this morning, though, in the light of day and with a mind now awake and capable of turning itself in the direction I wanted it to, was how this is a new experience for me. 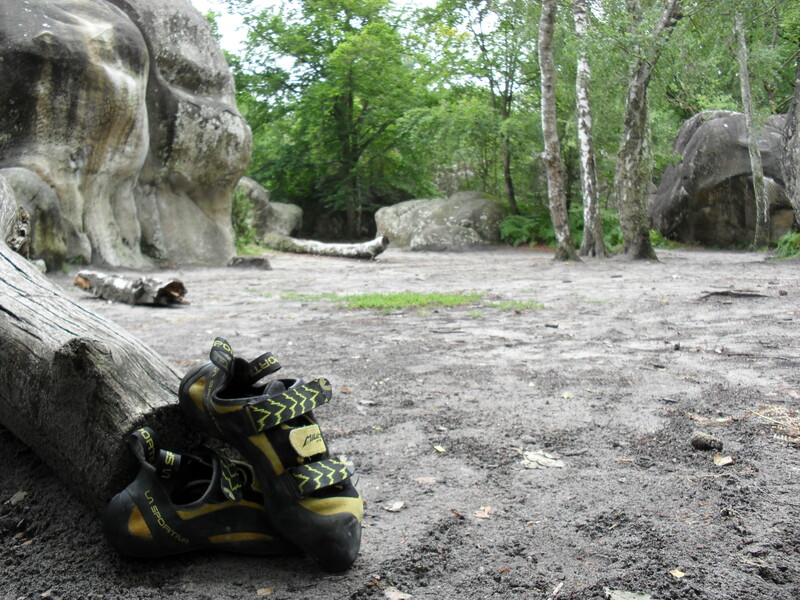 True, this is more of a torment than a treasure, but I wonder if the trad climbers and alpinists could ever really understand: bouldering, or at least bouldering at ones physical or mental limit, is a war of attrition, and one that takes all of your focus and attention for each individual move. I have pictured myself on many a boulder problem before, visualisation not being an alien concept to me in any way, and something I quite quickly bring to the attention of anyone using me as a coach, but this was something else. It had now become a part of me, as engrained as any of the major events of my life in my mind, at least for the short term, and I now know that this project will always carry special significance: it has taught me to harness my mind like nothing before. Last March, on my first real session on it, I was close to success as early as the third attempt, although more through luck than judgment I suspect, and I do not find it surprising that I should drop the final moves on that occasion. Some 15 months later, I now have another day of torment as I look out the door to find more water falling from the sky. Tomorrow’s forecast is good, the opportunity to release myself from this anguish there to be seized, to free my mind to think of other things at last. People might say about then having a sense of loss, of having nothing to focus on but I would argue that success would far outway that. Give me a genie with a choice at this precise moment and ask me if I would prefer to have sent the problem so long ago and save myself from this and the answer would be an instantaneous no. The lessons learned thus far have been huge and for that, the achievement so much sweeter. Tomorrow, it will be done. I can feel it. It took another two years before the problem finally succumbed, as has been well documented on here. The sentiments given on here, however, are as accurate now as they were back then.